With over 1.5 Billion users worldwide, Facebook is by far the most used social media site currently on the Internet. In fact, Facebook has doubled its users in the last five years. The use of social media is a daily part of many adults and children’s lives. Since users must be 13 to join, no data is available for the 12 and under user group but some research has reported 29% of youth aged 6-12 have an account on one of the major social media sites. Despite a legal requirement that kids must be 13 or older to sign up for Facebook, many younger children are using the service. Younger kids slip by unnoticed through falsifying their age. Facebook is aware of their young audience, and the site has rolled out privacy settings for the under-18 set. Users between the ages of 13 and 17 get a slightly different experience. Minors do not have public search listings, meaning their accounts cannot be found on general search engines outside of Facebook. The ‘Everyone’ setting is not quite as open for minors as for adults. If a minor’s privacy settings are set to ‘Everyone,’ that includes only friends, friends of friends and people within the child’s verified school or work network. However, this ‘Everyone’ setting still allows adults to search for minors by name and send them friend requests (and vice versa). Also, only people within a minor’s ‘Friends of Friends’ network can message them. Finally, minors can share their location thru ‘Places’ only with people on their Friends List regardless of the privacy setting. 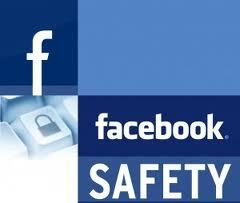 Even with Facebook’s privacy settings for minors, a child’s personal information is still widely on display. A young person’s Facebook account is just the beginning of their online footprint, and they need to take that fact seriously since it can affect their reputation today and for years to come. It is becoming common for college acceptance practices and employers to check for social media accounts to gather additional information about the person they are looking to accept to a school or job. 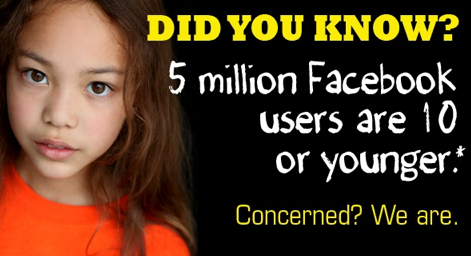 If you have a Facebook profile, consider sending your child a friend request. It will remind your child of your own online presence. If you don’t have an account on Facebook, ask your child to show you their profile. It helps to familiarize yourself as much as possible with the site’s privacy controls and other settings. It is also a good idea to take a look at your child’s photos and wall posts to make sure they are appropriate. Remind your child that the Internet in general is not a kids-only zone and that adults can see what’s on their profile as well. 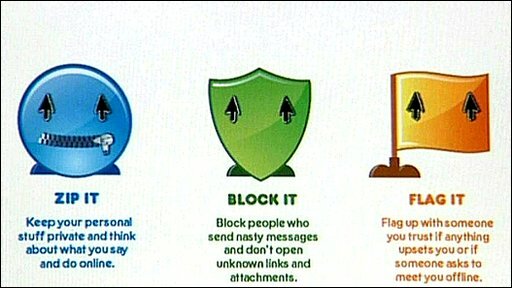 Maintaining an appropriate online presence as a teenager will help your child build a respectable online footprint. Remember: The Internet never forgets. Go over Facebook’s privacy settings with your child and show them how to active the highest level of security, ‘Friends Only.’ Emphasize that Facebook is a place for friends and not strangers. Remind your child to be mindful of what they post in their status updates, since oversharing online can lead to consequences in the real world. Another fact to consider is that a person can have more than one profile on Facebook. Some kids create a parent-friendly account and yet another for their friends. If they show you a profile that seem skimpy on content, that could be a red flag. Finally, there are a number of PC and Web-monitoring tools on the market that monitor online behavior either thru an online service or software that can be downloaded to your child’s mobile device.